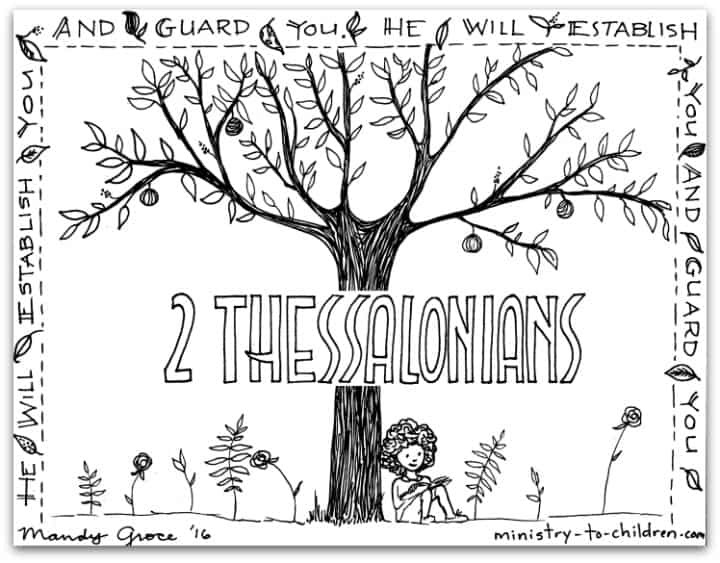 This free coloring page is based on the Book of 2 Thessalonians. It’s one part of our series of illustrations for each individual book of the Bible. The illustration captures the theme from 2 Thessalonians 3:3. It shows a young girl reading a Bible under a strong tree. He will establish you and guard you.